I actually shocked myself when I sat down to write this and realised I bought my Lady Dior bag a year ago this month. Granted, it sat in my room unopened for another six weeks until my 21st Birthday, but still! It’s been exactly twelve months since I made my greatest and most anticipated purchase! So, is it worth the money? Absolutely. Each size of the Lady has increased substantially in price since I purchased mine, I paid £2750 in February 2016. The Large currently retails for £3200, look how much bag you are getting for your buck though… in comparison, a large classic Chanel bag is now £4830. From an investment point of view, after one year my bag still looks brand new and I have confidence that if I were ever to sell it (like I would haha) I would definitely get my money back, which is a comforting thought when paying a significant amount of money for a bag. 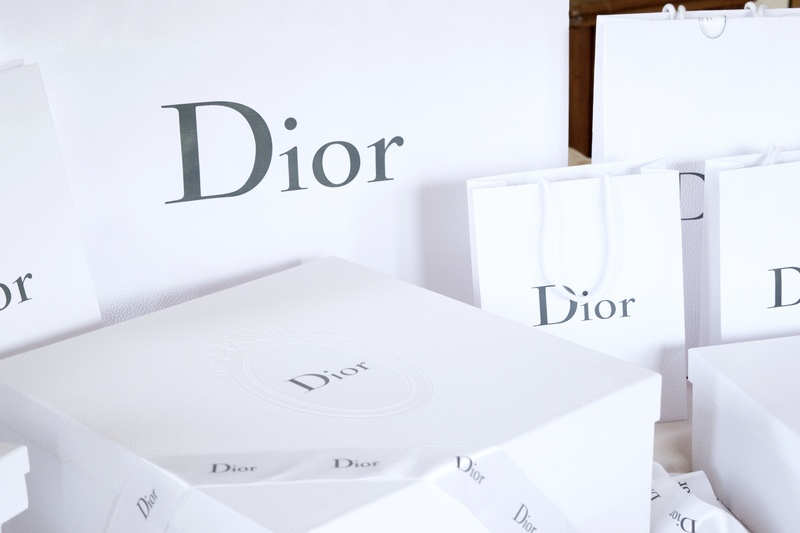 Yearly Dior price increases and Brexit have affected the escalation but, would I buy it at it’s current cost? Most definitely… After having it a year, my love for it has not diminished. I saved for months to ensure I could buy myself the 21st Birthday gift of my dreams; I worked overtime at a job I absolutely despised, I sacrificed other expenses to make it happen – I wasn’t going to settle for the next best thing just because it was going to be tough. When I look back, the struggle it took never crosses my mind, so it was definitely worth it. As a consequence, I understand one hundred percent the value of this 3k handbag and so I can say with absolute confidence that I have no buyers regret. 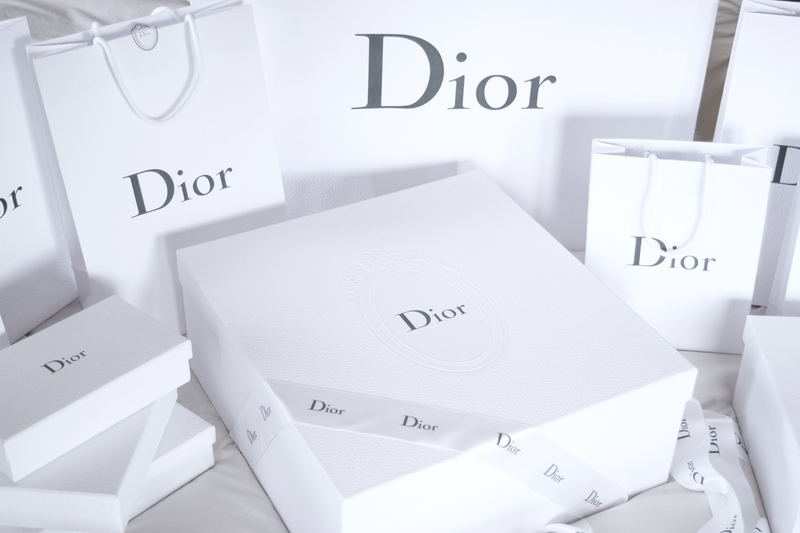 As I have mentioned here and here, the service and aftercare with Christian Dior is undeniably extraordinary, making the whole purchasing experience effortless. I went into the boutique around three times before I actually bought the bag, to ensure it really was the bag for me. Again, nothing worse than buyers regret. A risk when buying a lambskin or smooth leather bag is scratching. 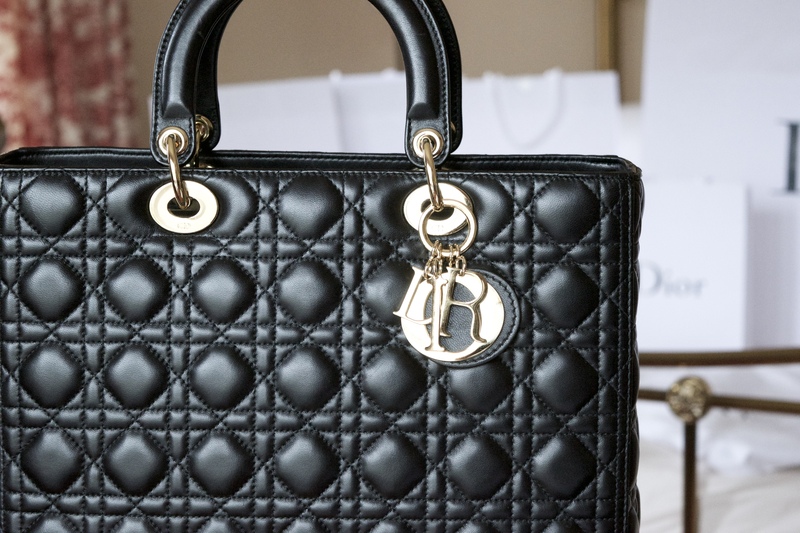 Chanel lambskin is notorious for scuffing with the slightest touch and so I was pretty cautious about choosing a bag so large that is delicate however, it wears astonishingly well. 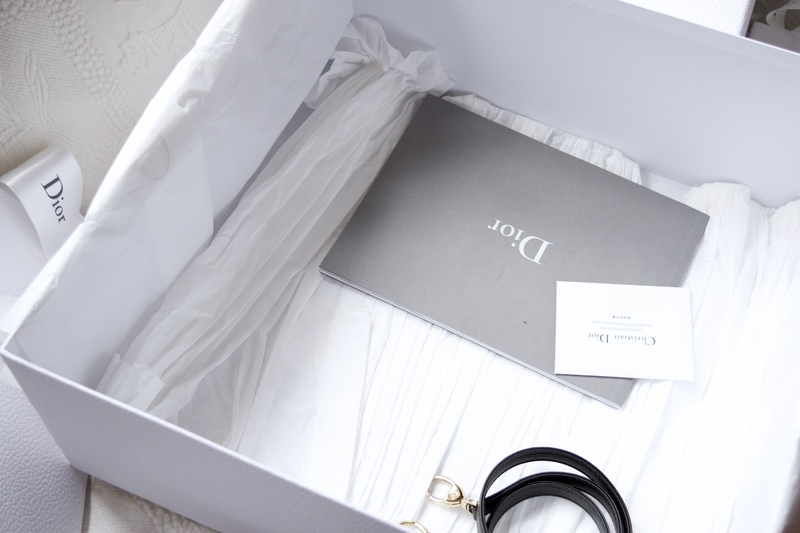 It is nowhere near as delicate as Chanel lambskin leathers yet feels just as buttery and looks utterly luxurious. My bag has one scratch on the inside of the top handle which actually doesn’t bother me in the slightest. Not only is the leather beautiful, it also has four golden feet on the bottom of the bag, which come in super handy when putting it down. Another concern pre-purchase was accessibility, as the bag is a structured box with a zip fastening, a few people had expressed that they have trouble getting in and out of the bag. I researched the Lady extensively before I purchased but only found reviews on the medium size. So to clear up any apprehension, no the bag is not hard to get in and out of, obviously when it was brand new it was a little stiff however, with wear it loosens. Despite the fact that the large size is big, it isn’t a heavy bag and so sits in the crook of your arm very comfortably. Mine is lined with a red Dior monogramed fabric. 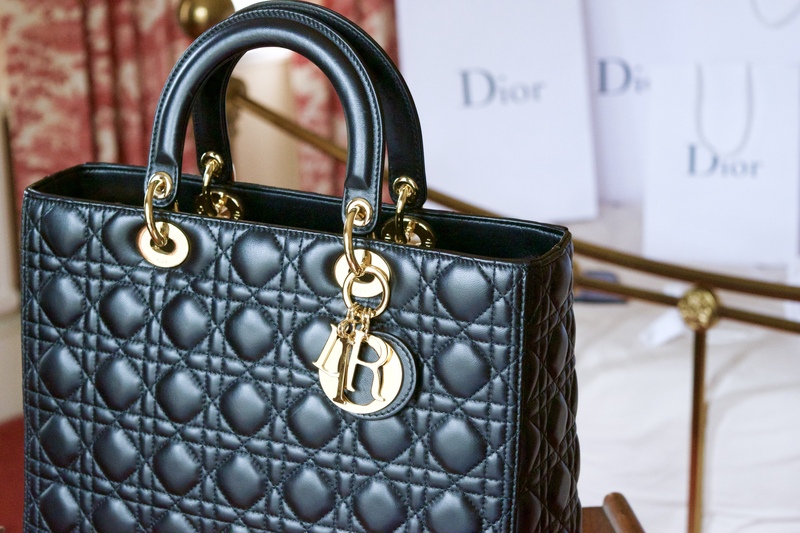 The Diorissmo for example is leather lined, making it quite heavy even when it’s empty. It also has a decent sized zipped compartment, which I like to use for a mirror, lipstick and my phone. If you’re undecided on size, colour or hardwear I would recommend a try on session in the boutique. Don’t only consider what suits your style but also what suits your lifestyle. My wonderful SA at Dior really helped me make the right decision for me. 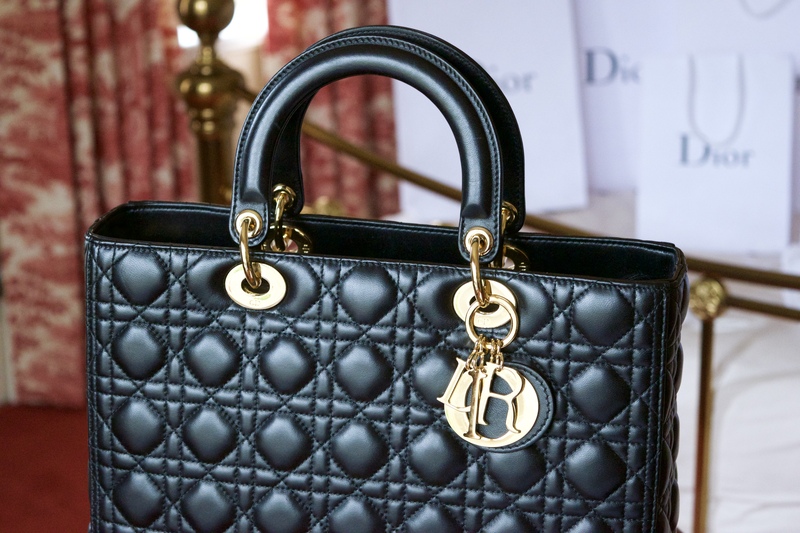 Black is my favourite colour for a handbag, the gold-tone hardwear made me feel like Princess Diana and so was a no brainer and the large size suited my style, lifestyle and overall sass. Each size comes with a shoulder strap too, which I love to use when going for a more casually chic vibe. The shoulder straps are not long enough for cross body wear though. 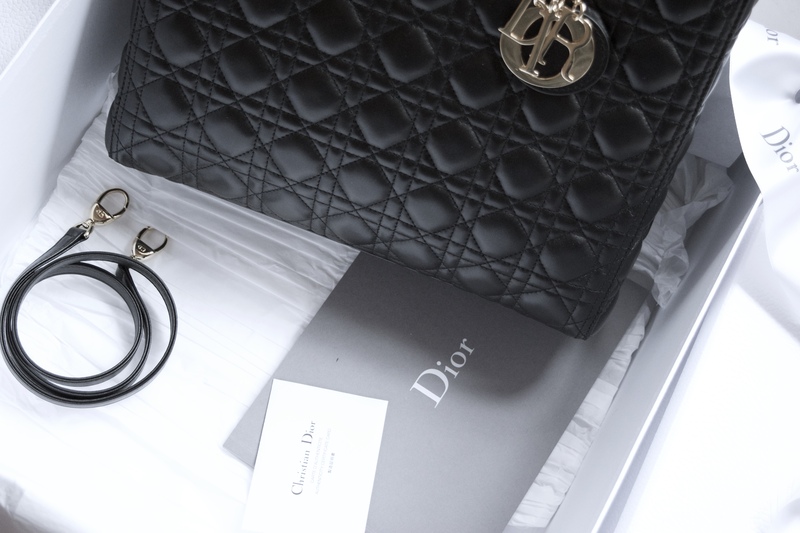 The Lady Dior is a timeless and unique work of art, it exudes elegance and embodies Dior Couture. Crafted by hand, the Lady oozes quality with every touch. 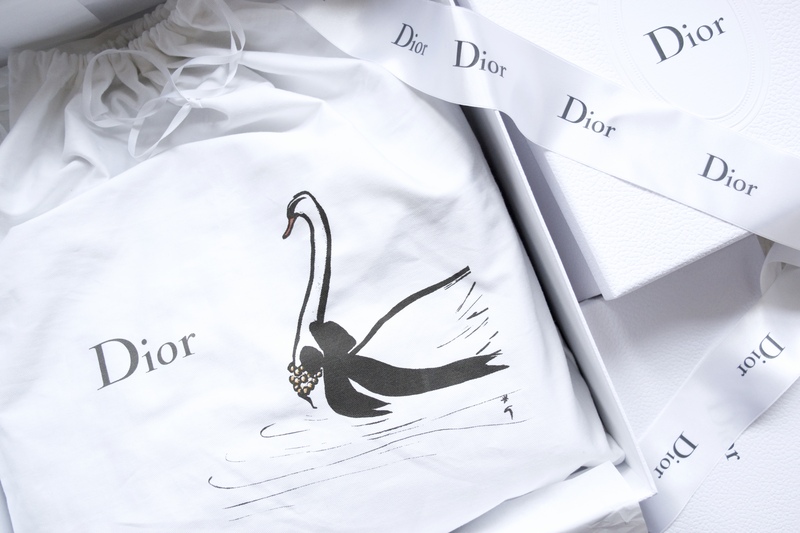 The Cannage stitching is synonymous with the House of Dior and is only enhanced by the gold hardwear. It will be my bag for life, my favourite piece in my collection and a constant reminder that as a 20-year-old student, I earned that all myself. If you’re on the fence, it’s not for you. I’ve never doubted a Dior purchase, they are my favourite always. I just purchased one recently in baby pink, and I’m so glad I did. Such a timeless piece! 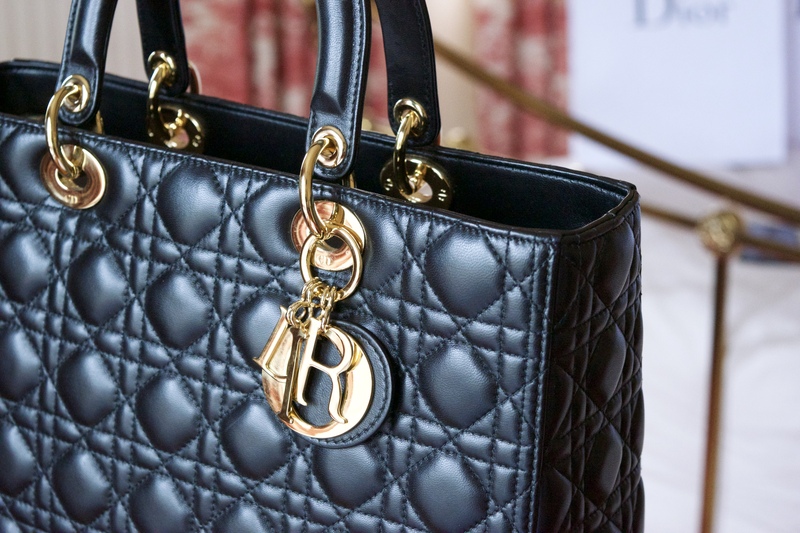 Gorgeous bag. I am in love.